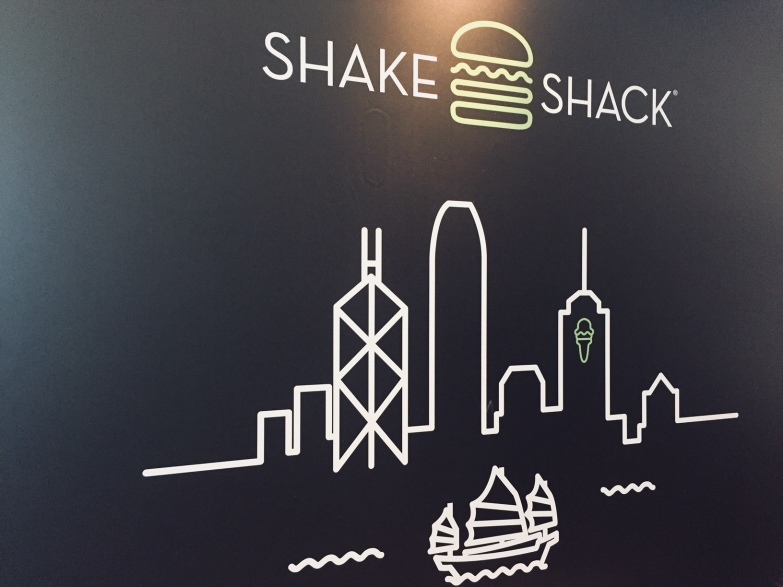 Shake Shack has arrived in IFC Hong Kong (second store opening in Pacific Place in October). 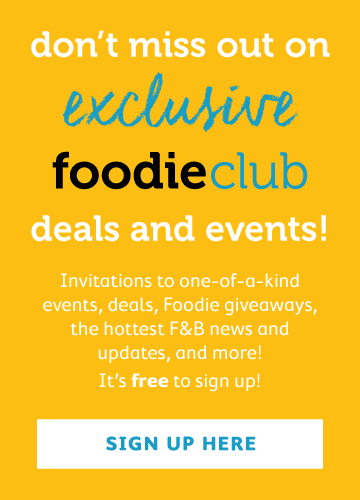 We have the scoop on what to order as well as the secret off-menu items! You could get a ShackBurger ($50 single/$76 double), a ’Shroom Burger ($62 single/$84 double), or order something that is NOT ON THE MENU! 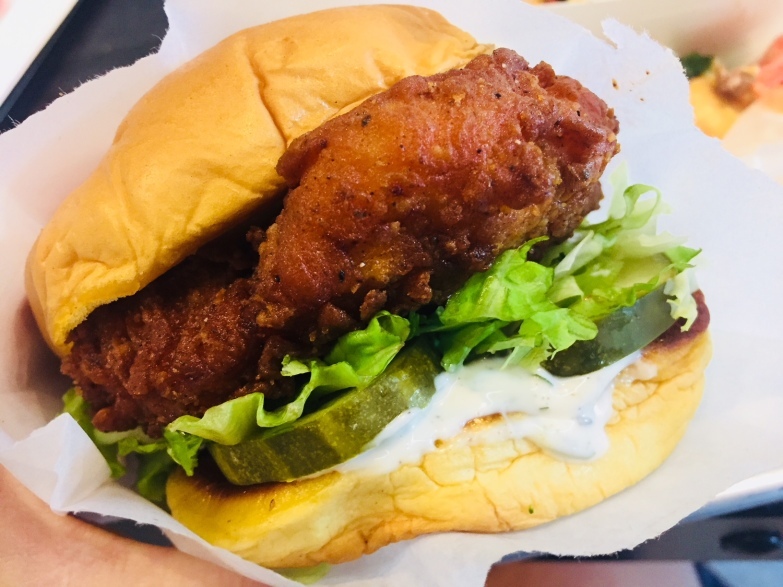 Here’s what happens when you start chatting about some of the foods you miss from your home country – you discover the things you can order off the menu at Shake Shack! For real SS enthusiasts, you can walk in and ask for a grilled cheese sandwich or a peanut butter burger and the staff will offer you a wink and a smile and whip you one up! Plus, you’ll feel really cool knowing what you know. We got a sneak preview of the famous flavours and were filled with joy at the quality of the food and friendliness of the staff and were pretty impressed! This is good food at fast food prices. 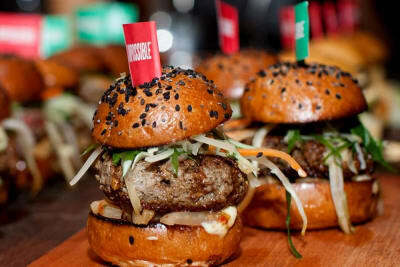 A burger, fries and a drink could set you back as little as $100. 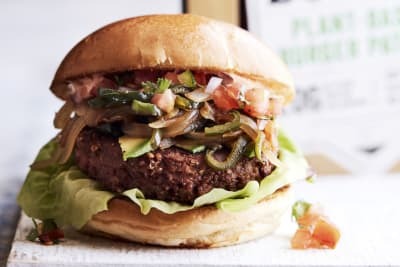 You could spend more, of course – and probably will given the array of beers, bespoke Shake Shack wines, milkshakes and frozen custards on offer – but all the menu items are set at extremely reasonable prices, designed to extend to all ends of the marketplace. 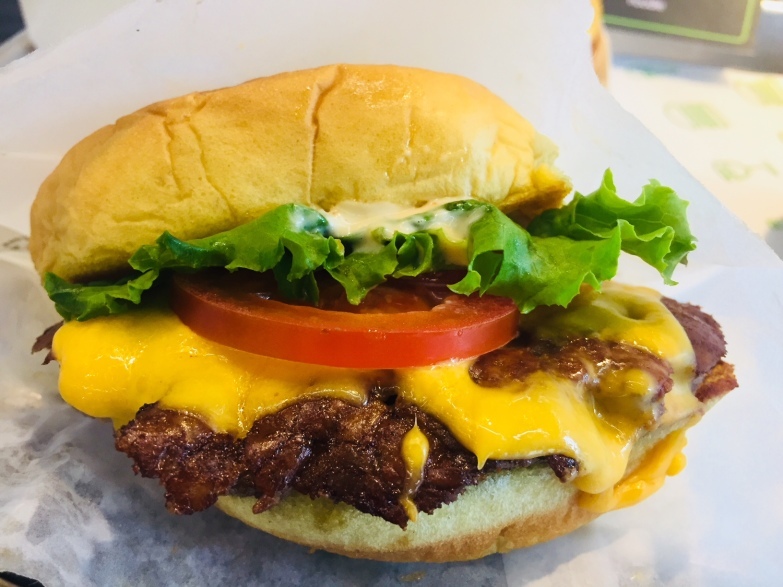 The ShackBurger ($50 single/$76 double) is the classic original. 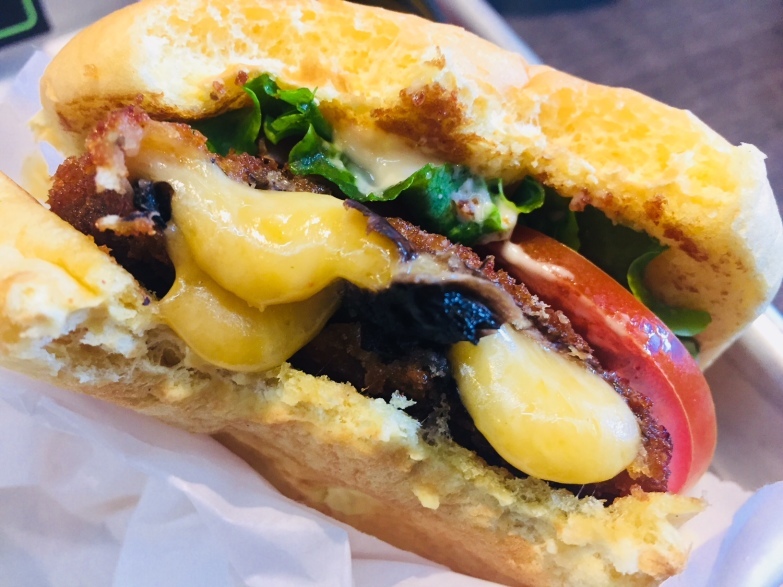 There’s also the ’Shroom Burger ($62 single/$84 double), which features a crispy portobello mushroom stuffed with oozing Muenster and Cheddar cheeses, as well as the Shack Stack ($86), which combines these two burgers into one giant tower. They have a Chick’n Shack ($56) too for those in the mood for white meat. Their famed crinkle-cut fries are $27 (or $36 with their famous cheese sauce). And then there is their original Shack-cago Dog ($39). 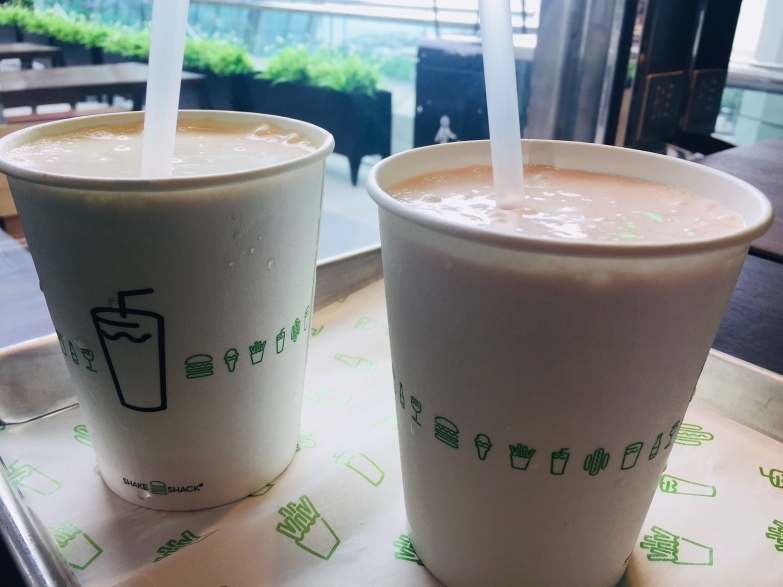 They have a special Hong Kong dessert item on the menu in the form of the Milk Tea Shake ($42), along with their regular vanilla, chocolate, caramel, black and white, strawberry, peanut butter and coffee flavours, and floats ($42) of root beer and creamsicle. They also have a host of concrete (frozen custard) flavours ($41 single/$62 double). 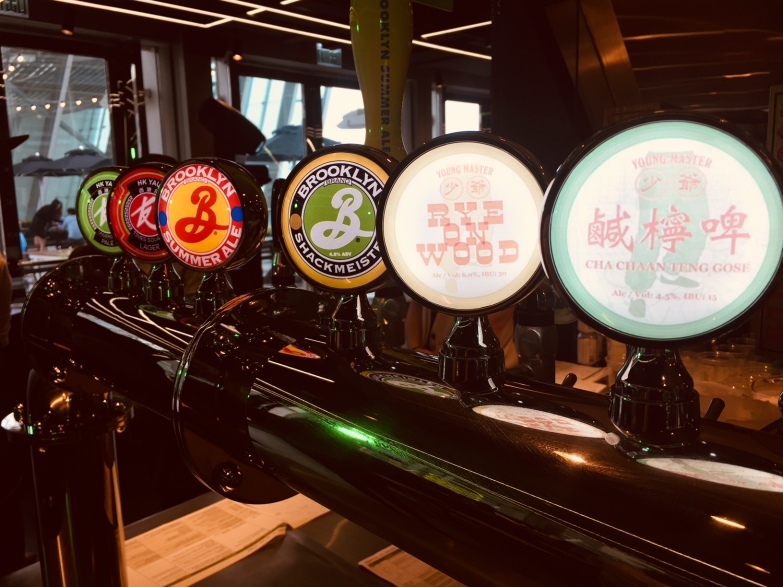 For sipping, there is Brooklyn Brewery’s Shake Shack–exclusive beer ($68), as well as a host of Hong Kong beers from Young Master Brewery, HK Yau, Heroes Beer Co, Moonzen Brewery and Gweilo Beery, plus Shake Shack’s own red and white wines ($68 per glass/$260 per bottle). They also make their own lemonade ($24/32) and offer a drink called a Fifty/Fifty ($24/$32), which is made of a mix of lemonade and organic iced tea, along with a host of fountain sodas and juices. They even have a menu item for our furry friends who come along for a bite. The Bag O‘ Bones ($50) serves up three ShackBurger dog biscuits – so man and woman’s best friend isn’t left out of the SS experience. 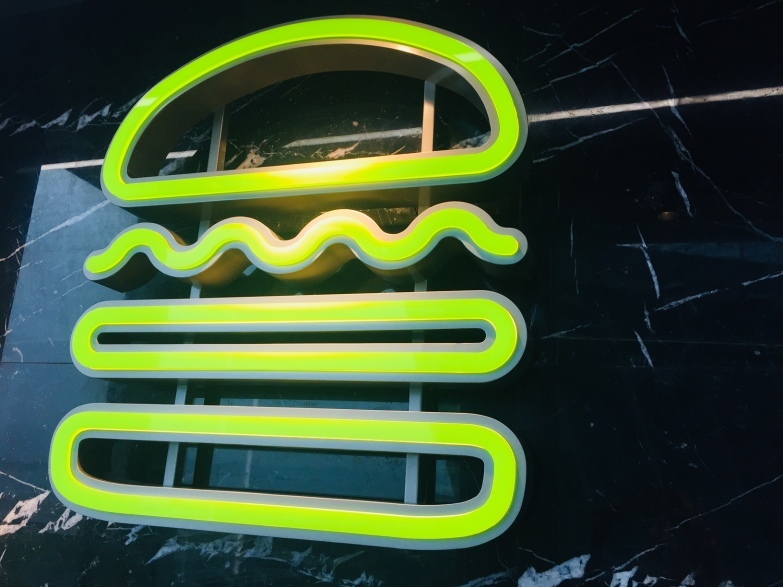 After teasing Hong Kongers with a pop-up featuring their beloved burgers and crinkle-cut fries, the world’s favourite American burger joint, Shake Shack, opened its doors to the public at ifc mall in Central. In October 2018, Shake Shack will open a second outlet inside Pacific Place, so you can get your Shack Burger in Admiralty. The burgers are paying the rent so they must be pretty good. This is good news for lunch in Admiralty, if the queues are manageable. Culinary Director of Shake Shack, Mark Rosati, walked us through the origins of how one of the most famed global burger shops came to be. 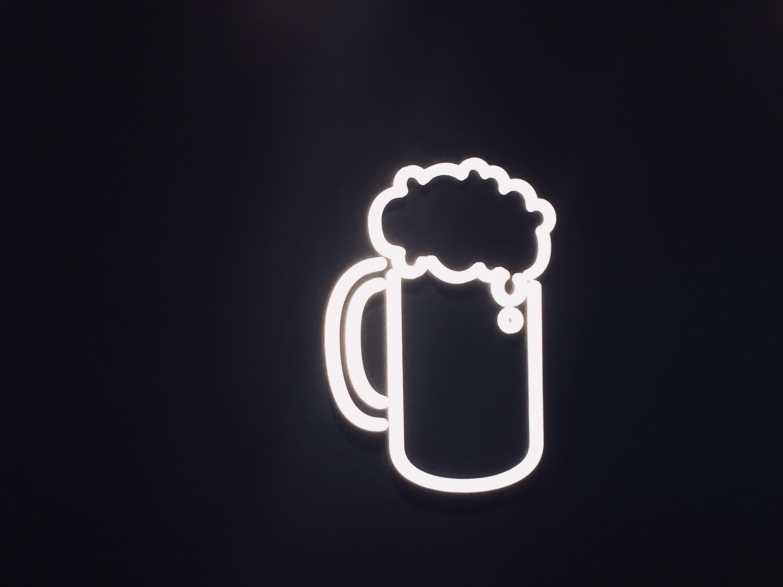 It began with Danny Meyer – you may know him from his fine dining restaurants in New York, one in particular whose story is twinned with Shake Shack’s, Eleven Madison Park. When Meyer began in the industry, he wanted to open a restaurant that combined elegant cuisine with amazing hospitality, which, back in 1980s New York, was not the usual. He thought the two could go hand in hand and proved himself right in the process. Eleven Madison Park was also set in a rundown park badly in need of rejuvenation, which Meyer was understandably eager to contribute to. He opened a hot dog stand where everything was made from scratch and where return customers were remembered in detail, down to how they liked their dog. This hospitality at the hot dog stand spread to opening their first kiosk within Madison Square Park, where they began selling burgers too, all made with the premium-quality ingredients found at Meyer’s fine dining restaurants but sold at regular burger prices. Eleven Madison Park was crowned The World‘s Best Restaurant last year and is part of how Shake Shack began, with an organic story that foreshadowed its international success and ardent fan base. 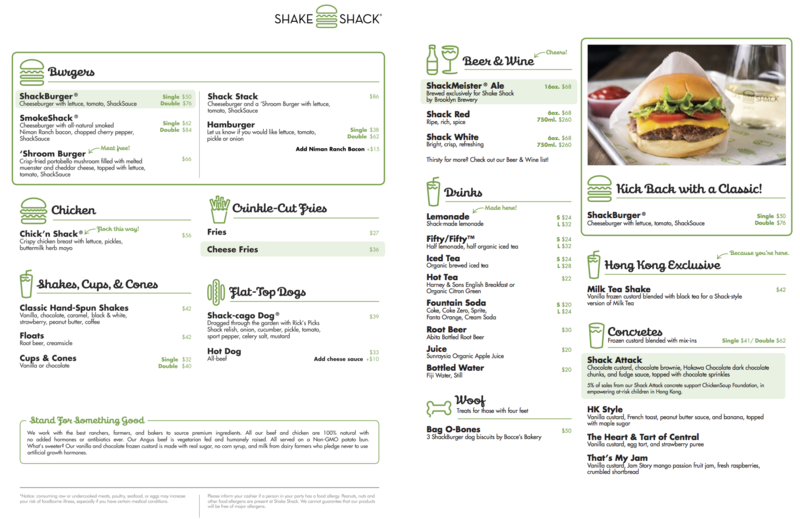 Did you know that you can get Shake Shack's nutritional information online? You're welcome. Never one to be left behind, Shake Shack has just declared war on the plastic straw in the US. Watch this space to see what they decide to do for their Hong Kong store. Did you know they have a cookbook? We got our hands on it and gave it a whirl. Shake Shack is open from 11am–11pm and may look to opening even later (until midnight or 1am) in the future months once things get going in order to take full advantage of their prime position overlooking the harbour.